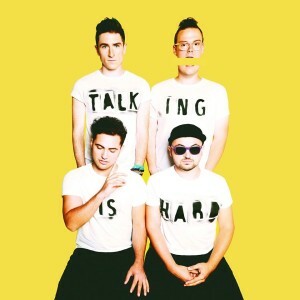 They haven’t even hit the stage for their two 2015 shows just yet (the first of them is locked in tonight at Melbourne’s Howler), but that hasn’t stopped US four piece Walk The Moon from announcing their return to Australia early next year for headline shows in all five main capitals. Their breakout single ‘Shut Up & Dance’ has been a chart monster here in Australia, currently triple platinum and spending its 22nd week on the ARIA top 50 after peaking at No.3. And there’s plenty more infectious pop where that came from, if their 2014 album ‘Talking Is Hard’ is anything to go by. But back to those shows… late January, kicking off in Perth, tickets on sale from 10am local time on Wednesday September 16.